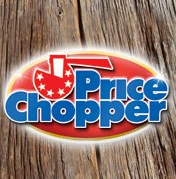 Price Chopper Coupon Matchups 6/22-6/28! Certified Angus Beef Boneless Sirloin Steak - $4.99 lb. Butcher's Promise Boneless Sirloin Steak - $3.99 lb. Certified Angus Beef Bone-In NY Strip Steak - $9.99 lb. Butcher's Promise Bone-In NY Strip Steak - $7.99 lb. Assorted Pork Chops - $1.99 lb. Live Lobsters - $5.88 lb. Cod Fillets - $4.99 lb. Alaskan Keta Wild Salmon Fillets - $5.99 lb. Whole Rotisserie Chicken - $4.99 lb. Seedless Green Grapes - $1.49 lb. Peaches or Nectarines - $1.49 lb. Red Seedless Grapes - $2.49 lb. Green or Yellow Squash - $1.79 lb. BelGioioso Slicing Provolone - $4.999 lb. PC American Cheese - $4.99 lb. PC Cooked Roast Beef - $6.99 lb. Jennie-O Herb Roasted Turkey Breast - $6.99 lb. Sara Lee Chicken Breast - $6.99 lb. Sara Lee Buffalo Chicken Breast - $5.99 lb. D&W Gourmet Lite Turkey Breast or Deluxe Cooked Ham - $7.99 lb. Reader tip: Check Nature Valley Granola Bar Boxes for $1.00 off Yoplait Greek 100 and Blended peelies = FREE! I found $1.00 off Yoplait Greek 100 and Blended on Nature Valley bars last week - that makes for free yogurt! Awesome! I'll add that tip into the matchups - thanks! I just received an email from Price Chopper containing the link for 2 doublers, 10 cents off a gallon with a $15 Dairy Purchase and 10 cents off a gallon with a $15 frozen food purchase.